Arizona Central Credit Union announced a contest for both new and current members that will enable three lucky winners to enjoy a two-person, 5 day/4 night luxury liner cruise to Mexico, the Bahamas or the Western Caribbean. The contest will run from July 1 to September 30, with the drawing for winners conducted on November 4, 2015. Cruise dates and destination will be at the option of the winners. At Local First Arizona, we love to talk about the benefits of banking locally. Not only does it matter where you spend your money, but where you save and invest your money has an impact on your community, too! The dollars you invest in a local bank go directly into supporting local community initiatives like startup and expanding local businesses. 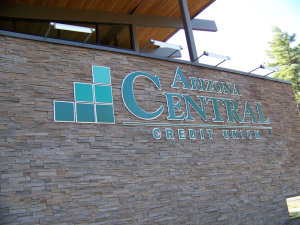 Arizona Central Credit Union's contest may be the perfect reason to make the switch to banking locally today! (Check out our guide to making the switch to a local bank or credit union). According to Pearson, the three winners will be chosen from everyone who joins by opening a new checking account with Arizona Central and meets additional new member contest requirements. Existing members will also have a chance to enter the contest when they refer a friend or family member to the credit union with a “Refer a Friend” coupon and the referred new member meets all contest requirements. In addition to the opportunity to win a luxury cruise, all new members and the existing members who refer them are eligible to receive cash bonuses. Complete contest and cash bonus details can be downloaded at www.azcentralcu.org/cruise. Members can get “Refer a Friend” coupons on the credit union’s site here. The three winning members (and their guest) will enjoy a cruise stateroom comparable to a 4-Star hotel, with all usual cruise amenities such as free meals, shipboard entertainment and more. Upgrades in cruise options, length, staterooms and amenities will be available at member cost. An overview of the “Cruise into Savings” contest is available at www.arizonaccu.com/cruisefor2.